You, our clients, have the best ideas when it comes to adding features to your website. Some of the ideas are so cool that I want to share them with you in case you might want us to add one of these features to your site. In many cases, all you need to do is ask us, and in other cases, as you’ll see, you may need to do a great deal of work on content and send that to us before we can update your site. For those of you who have great testimonials, we can feature them in a rotating slider on the home page. We still recommend you have a separate page for testimonials because they are so important in online marketing these days. We added a new resource page which includes a “Where’s My Refund?” link to help you cut down on customer service questions. Post your generic tax organizers. 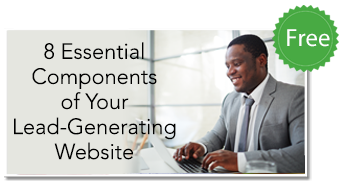 Want clients to be able to download a generic organizer? If so, send us yours, we’ll upload it and send you the link you can use to share with prospects and clients. Post a FAQ – Frequently asked questions. If you are a reseller for Intuit or another brand, take advantage of the marketing materials in your reseller portal. Intuit has partnered with Zift which has built a page you can embed into your website. All we need is the code from your reseller account as well as a summary paragraph about the reseller part of your business. If you’ve met the milestone of developing service packages for your business, we can display them in beautiful tables – with or without the pricing. Here are a couple of examples of our own pages and a client’s. As you probably know, we prefer showing pictures of business owners rather than calculators so people can relate to them. We also make sure that the people in the photos represent diversity by gender, age, and origin. If you have a specific demographic of client you’d like us to match, we’re happy to switch a few photos out and select different ones that better reflect your business. PayPal buttons and shopping cart links. If you have a book or classes for sale and want clients to be able to pay online, we can set up PayPal or shopping cart buttons for you. In the case of PayPal, all you need is the PayPal account. In the case of a shopping cart, you would need to purchase the cart application and merchant account and provide us with the links. If you are an affiliate or reseller of QuickBooks products, we can set up a page that displays the box shots and your affiliate links. If you sell a good volume of Intuit products, you likely have a personal sales representative working with you. Periodically, Intuit provides reimbursement when you spend money to advertise its products. We’ve worked with many of you on your website and social media investments to make sure they comply with Intuit’s reimbursement policies. A few of you serve only one industry, such as restaurants. When that’s the case, we modify your site photos to reflect scenes form that industry. I’m sure there are many more features that you can think of, and I look forward to hearing your new ideas this year.